SOME PLAYERS HAVE what is referred to as “it” – the gusto, the stuff, the goods, the flair, the swagger – whatever you want to call it, when you see it, you know it’s enough to engross the masses. Audacious skill-sets accompany their stratospheric potential and performance output. The magic in their boots is almost as loud as the colour of them. It’s never a surprise when the emotions of a season, and that of a club, hang on tenterhooks like these players’ moods, form and health. Granting and relenting to such player power can further taint the already-muddied waters of football loyalty. This is not about a player of this ilk. Rather, this is about a player whose service, conformity, dutifulness and willingness to bleed for his club, fans and teammates allowed mercurial talents to shine vibrantly for Liverpool Football Club. This about a footballer who would never be the star attraction on the pitch, but who instead played his role for the greater good of the cause. While everyone looked at the here-and-gone goalscorers and talismanic icons shining bright, this star was just a bit obscured by galactic dust. Black boots, tucked in shirt, gangly gait, robust tackling, and in his prime the tracking abilities of a hell-hound terrier, Jamie Carragher typifies what steadfastness means for a generation of Liverpool supporters that has really only known what that combination looked like in a few rare decades-long stints of loyalty and excellence by a modicum of players that have since moved on. I once heard someone say, “But if a manager can put out 11 players with the heart Carragher’s size he would not go far wrong,” and the more one reflects on his career, the more bearing those words hold. “ON 26 MAY 1989, Michael Thomas ran through the heart of Liverpool’s defence and scored the most notorious last-minute goal in Anfield history, handing Arsenal the title. In a Bootle pub just a couple of miles away, an 11-year-old Evertonian, his dad and his mates began celebrating as if their own team had won the League. “A group of lads went outside and scrawled graffiti on the wall. ‘THANK YOU, ARSENAL’. 11 eleven-year-old laughed his head off, encouraging and applauding the offenders who were chalking the headline he dreamed of reading on the back of every newspaper the following morning. That boy was me. I thought of myself as the biggest Blue in Bootle. From his earliest years, Carragher can perhaps aptly be described best with the phrase “all-in”. You know what this means if you’ve watched him play, heard his analysis, and read his words – be they in his editorial columns or in his book; Carragher’s fervent affinity for Everton is less perplexing and more inherent to his character for a one-club man with Liverpool. In many ways, Carragher’s story both on and off the pitch has something that’s occasionally hard to find in modern football: emotion. Carragher represents a category of player who captures the ethos of a club. Arsenal had Tony Adams, Manchester United had Gary Neville – a player and pundit who crossed paths for well over a decade – and Liverpool had Jamie Carragher. These aren’t the showy types; they were the cogs in their respecting footballing machines. There is another element at play regarding Jamie Carragher that one comes to appreciate, yet so many overlook; a quality of candour and authenticity that is simply becoming an increasing rarity in today’s footballer. Before and above all else, Carragher is a fan of football. His blunt passion for simply playing the game manifested with the committed displays of the player we saw turn out for Liverpool 737 times and for England 38 times over two stints. Playing for the love of the game is a tough ask in a simple game turned moneyball enterprise. Such a place is tough for many the professional player to go, especially when the one element of life that was a passion becomes a profession. It’s no secret the common fan, the consumer of all things football, has virtually nothing in common with the modern-day player who’s paid a fortune to kick a ball. This is part of what continues to make Jamie Carragher so endearing – and polarising – at the same time. As a player converted from striker, tossed about in the midfield in his emerging professional career, but who made patrolling the back line his duty and art form, Carragher’s attitude and passion for football remains the same. His constant communication and vocal element to playing in defence bleeds through his life off the pitch, be it an on-air call-in and score-settling with Adrian Durham on talkSPORT, or his epic battles and insight in his Sky Sport’s punditry. In many respects, in an age where today’s footballers are also fashionistas, models and celebrities of great acclaim, it’s more than a bit admirable that Carragher was a footballer first, and everything else next. “As an Evertonian, I was thrilled whenever Liverpool lost, mainly because it improved our chances of winning the title. As a Liverpool fan, those feelings are now reversed, and other sides have been added to the list of teams whose defeats I celebrate. Having spent time oscillating between Everton and Liverpool’s academy between 1988 and 1990, Carragher opted for Liverpool largely based on the club’s coaching and academy set-up architected by Steve Heighway. At Liverpool, the standard and depth of talent saw Carragher’s shift from an attacking role to a deeper role for a few reasons. For a player like Carragher, whose baptism in the game took place in the mud of Liverpool’s Sunday league pitches, the standards of play were ramped-up under Heighway. Furthermore, his size and stature was perfectly suited to a combative role protecting his own goal. By 1996, players of the calibre of Michael Owen bagged goals, while the industry of a young David Thompson – who would feature in the 1996 FA Youth Cup-winning team alongside Carragher – represented what can now be considered a fleeting trend: local lads playing for Liverpool. The shift in position required Carragher to use what he knew as an attacking player in his youth to make the transition to the back line. In January 1997, then-manager Roy Evans granted Carragher his first team debut in the League Cup. A few days later Carragher was given his first taste of Premier League football and, in his maiden start against Aston Villa, he scored his first goal in front of the Kop. The 1997-98 campaign saw a Liverpool side loaded with talent and a pair of lethal strikers in a young Michael Owen and Robbie Fowler; a midfield with the steady Jamie Redknapp, the tireless work rate and creativity of winger Steve McManaman, and the experience of Paul Ince. Such a robust line-up thrust Carragher into the jack of all trades-type of player, willing and able to fill the gaps and play whatever role was demanded of him. 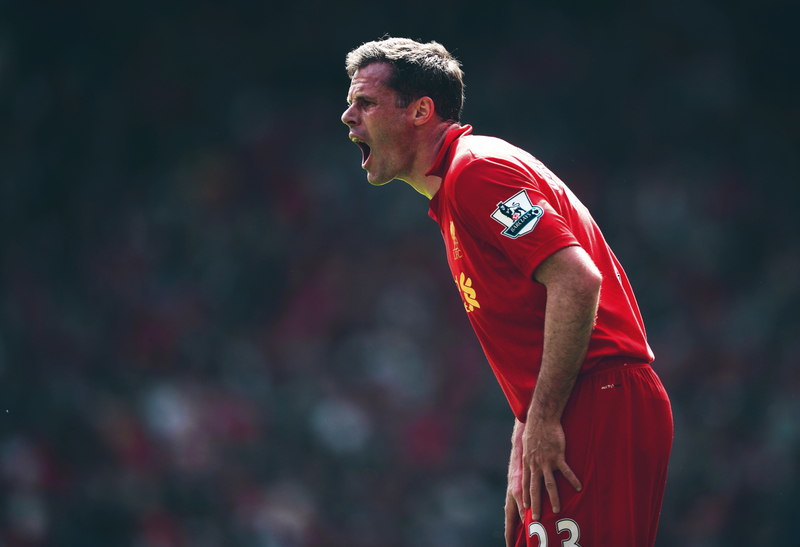 By 1998, however, Carragher’s metamorphosis as a stalwart for Liverpool took form. The traditionally ‘English’ influence of a footballing education under Steve Heighway, Ronnie Moran, Roy Evans and Phil Thompson would meld with that of Liverpool’s newly-appointed French manager Gérard Houllier. In some regards, the influence and whisperings of Liverpool’s famous Boot Room culture introduced by the legendary Bill Shankly – and that defined so many players and remarkable managers – began to fade, as did what is known as ‘The Liverpool Way’. The failure of the Evans-Houllier management duo saw the Frenchman overhaul the squad, which some contend desperately needed gutting. The retention of Phil Thompson on the coaching staff allowed The Liverpool Way to become the way beneath the surface for many players. The loyalty and consistency of players like Jamie Carragher ensured its implementation as a new era of foreign influence flowed through the gates at Anfield. 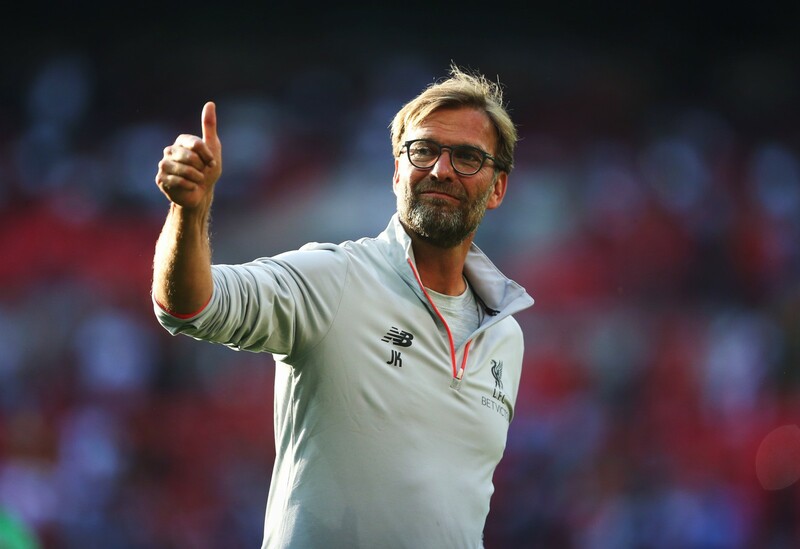 A manager’s success at a club like Liverpool depends on three main competencies: his ability to win silverware, his proclivity to attract and develop talent and his skill in managing players that represent the club’s values. Carragher fit the bill and, under Houllier, the defender flourished during the 1998-99 campaign. The following season, Carragher shifted to right-back as Houllier preferred Sami Hyypiä and Stéphane Henchoz’s partnership at centre-back. Subsequent years saw Carragher put in performance after performance at right and left-back and, in 2000-01, the stifling defence helped Liverpool secure what is known to many as the forgotten treble with the claiming of the FA Cup, League Cup and UEFA Cup. Capturing the Community Shield and UEFA Super Cup shortly thereafter only reaffirmed that the Liverpool machine was in fine working order. Carragher’s ability and perseverance through football’s thunderous waters took hold with an FA misconduct charge in 2002 and serious injuries that not only saw him miss out on World Cup selection for the Three Lions that year, but threatened his place in an ever-evolving player rotation under Houiller. The Frenchman brought in Irishman Steve Finnan and Norwegian John Arne Riise to deputise in the back line, while adding a wing-back approach to Liverpool’s style of play to complement the work rate of a marauding and youthful Steven Gerrard, who was quickly becoming a club legend in his own right. The real test of a player, however, at times takes place off the pitch and comes down to their ability to overcome adversity. In 2003, Carragher, named vice-captain to Steven Gerrard, was in the thick of competing for his place in the Liverpool line-up as the club secured the League Cup. With the appointment of Rafa Benítez in 2004, he finally found a home in central defence with Sami Hyypiä, forming a tenacious and blue-collar partnership. The real joy of Carragher’s play was the positional sense and anticipatory master-classes he produced on a weekly basis. Over the course of a successful 2004, being voted Player of the Year by the club and continuing onto Liverpool’s brightest moment in the modern era in 2005, Carragher’s performance output seemed soaked in dogged desperation and last-ditch tackles, but the real beauty is how Carragher played to his strengths. During these years he found himself in the thick of a talented defensive player pool for England. One perplexing element that Premier League strikers – a class of player that includes some of the best out-and-out strikers the game has ever known in their prime – had to think about was the style of Carragher’s defending both in open-play and in 1v1 duels. As a man-marker, Carragher shared your shorts with you; as a positional savant, no doubt a result of playing so many roles in his career up to this point, Carragher excelled at four things any defender ought to be proud of: forcing the striker back into midfield, denying time, space, and the turn as high up the pitch as possible, putting out fires with uncompromising tackles, and knowing his own limitations as a footballer. Against the likes of Barcelona, Bayern Munich, Arsenal and Manchester United — all with attacking talent in no short supply – seeing a black-booted Carragher mark Ronaldinho, Henry and van Nistelrooy out of the game was almost as impressive as watching him breathe down a forward’s neck only to bump off them 10 yards to respect their speed and skill. Was it always pretty? Absolutely not. But it was what proved most effective and what was demanded of him. The miracle that was the 2005 UEFA Champions League final typified the passion and pursuit of the next play, the next goal, the next tackle for a player like Carragher, who again seemed to break down the game into segments. Such mental endurance is often overlooked and underappreciated by the fans, but those who know and have played the game can attest to the importance of that skill. In a classic FA Cup final against West Ham in 2006, Carragher and Liverpool secured more silverware. Over the years, while the high-profile players, the foreign failures, the Johnny-come-lately’s placated the club’s fans, Carragher quietly went about his business. Proving to be an asset and operate under the radar as part of the team’s spine, he set a new Liverpool record for appearances in Europe and continued to navigate club and international football. By 2008, Carragher had made his 500th appearance for Liverpool, while putting his international career on hold by announcing his retirement. Years of battle with a style of play as taxing and physical as ever, Carragher continued to turn out for Liverpool and, eventually, made a return to the England set-up for the 2010 World Cup. What best typifies Carragher for both England and Liverpool was his industry. Looking at the last two decades of players clad in Liverpool red, there are a few that the likes of Bob Paisley, Joe Fagan and Bill Shankly would use with regularity and, whether it’s a compliment to Carragher or just a fact, he would be considered to fit such a mould. Over the years, whether he’s loved or loathed, fans and players can learn a lot from Jamie Carragher. From his days plodding up and down the Sunday league pitches near Bootle to the grass stains gathered from the world’s most notable footballing arenas, Carragher and players of his ilk are a dying breed. As consumers of the game, we have a responsibility to remember the game’s workman. Such contemplation, admiration and analysis must extend beyond club affinity, nationalism and personal preference. There’s a lot of love and hate about every footballer – but the great equaliser is always performance and the longevity of a career. My assessment of footballers is less about the goals and glamour and more about what they stand for on and off the pitch. Jamie Carragher fits a unique mould, one that represents a man’s quest to help his club retake the pinnacle of English and European football. In essence, it’s easy to look at what a player embodies for you and see greatness; it’s even better when greatness stares back. I was only a kid when I heard my science teacher laugh off a classmate’s quandary about blood being blue inside the body and only turning red when it’s exposed to oxygen. Years on, I’m older (perhaps not much wiser), but this may well be true with regards to a footballer like Jamie Carragher, the boy from Bootle whose love for Everton coursed blue blood through his veins. Years of serving Liverpool Football Club, however, showed he indeed bled red.